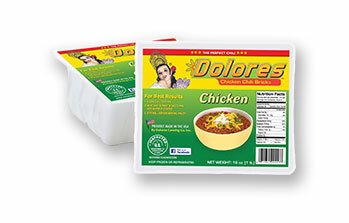 In 2010, after many requests from fans and suppliers, Dolores introduced the Chicken Chili Brick®, 100 percent chicken with the same Dolores family recipes that made the original brick famous. Like the all beef brick, Chicken Chili Brick® is frozen in the brick shape and sold in 16-ounce and 5-pound packages in chain and independent grocers, by food service distributors and in restaurants. 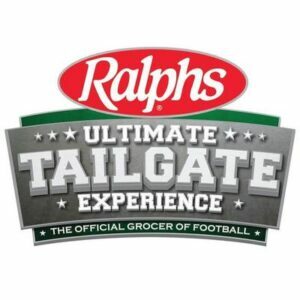 Click here to find a store near you that carriers our Chicken Chili Brick, or purchase a 6-pack or combo pack (3 beef and 3 chicken) online today on our web store. Use our Dolores 16 oz. Chicken Chili Brick®. It simply goes from our box to your meat case. Our chili sells in the fresh meat case next to the ground beef and sausages. 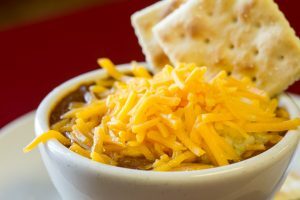 Prepared Dolores Chicken Chili Brick® is delicious by itself or topped with any of the following: grated cheese, chopped onions, chopped tomatoes, sour cream. Directions: Prepare one Dolores Chicken Chili Brick. Top with choice of cheese, diced onions, tomatoes, Sour Cream or sliced jalapeños. Directions: Prepare one Dolores Chicken Chili Brick and 2 cups of steamed white rice. 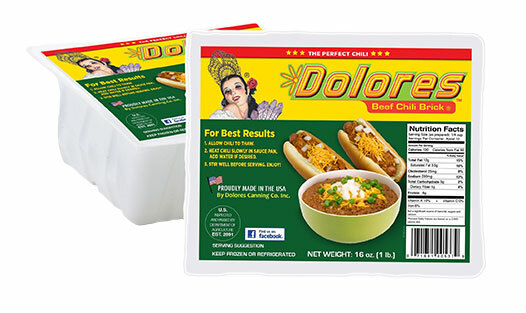 Serve Dolores Chili over bowl of rice and top with choice of cheese, diced green onions or corn. Directions: Stir softened cream cheese into a pan of Dolores Chicken Chili Brick®; continue stirring over heat until cheese is thoroughly melted and mixed with chili. 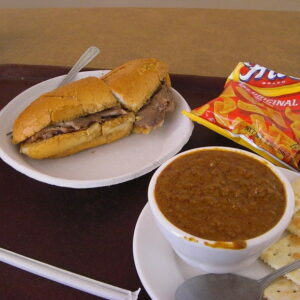 Serve with dippers of crackers, bread sticks or tortilla chips.